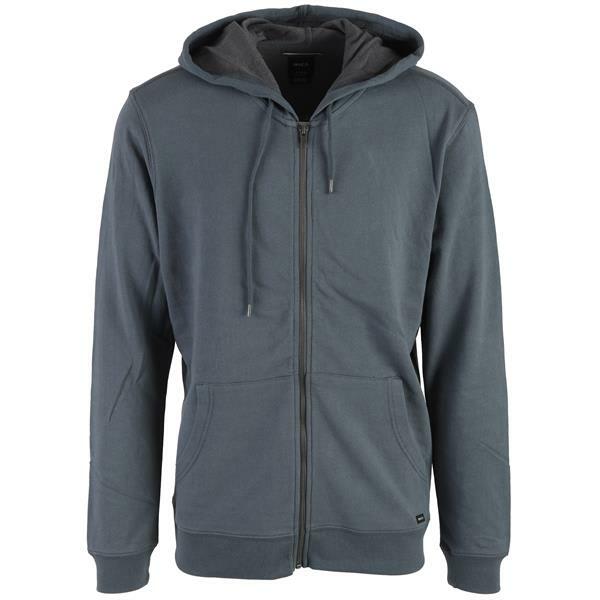 The RVCA Crucial II Zip is a French terry hooded zip up fleece with drawcords. 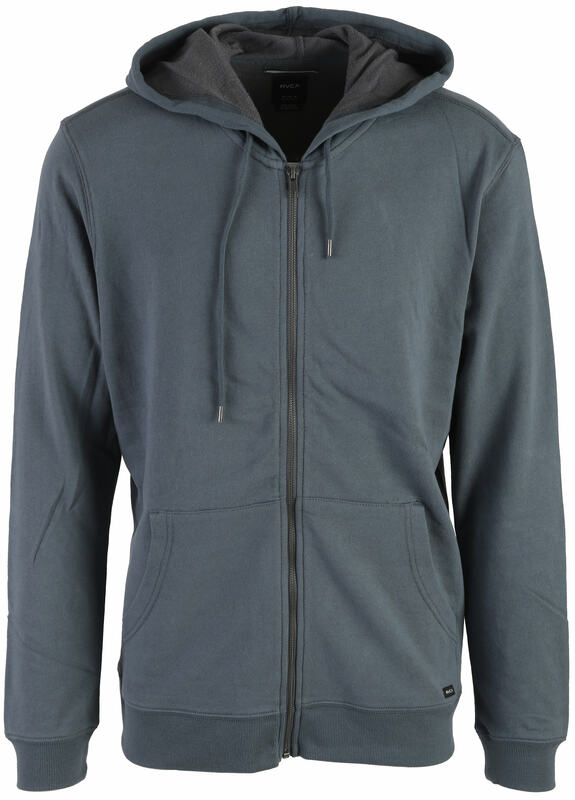 The sweatshirt has a self side panel, kangaroo patch pockets at the front, and ribbing at the cuffs and bottom hem. It also includes a RVCA woven label at the patch pocket.